That's a bitchin' cover. Thanks for keeping us up to date on everything, HA. Just starting out with a rough outline, so far, and what we know as the main casts for each title. Will add in others shown as, or said to be appearing, via later edits. Any assistance in making/keeping it accurate as possible, is most welcome. You can add Madison Jeffries, Bling! Sharkgirl, Maxine, Manon and Gentle to the NextGen cast and Angel is part of the institute. Velocidad, Callisto, Layla Miller, Multiple-Man and Chamber have been showing to be in MU as well (UXM #11). Maybe you should start a thread of this so we can all keep an eye out on our favorites and have an up-to-date overview. Last edited by Jesse-James; 02-11-2019 at 03:36 AM. 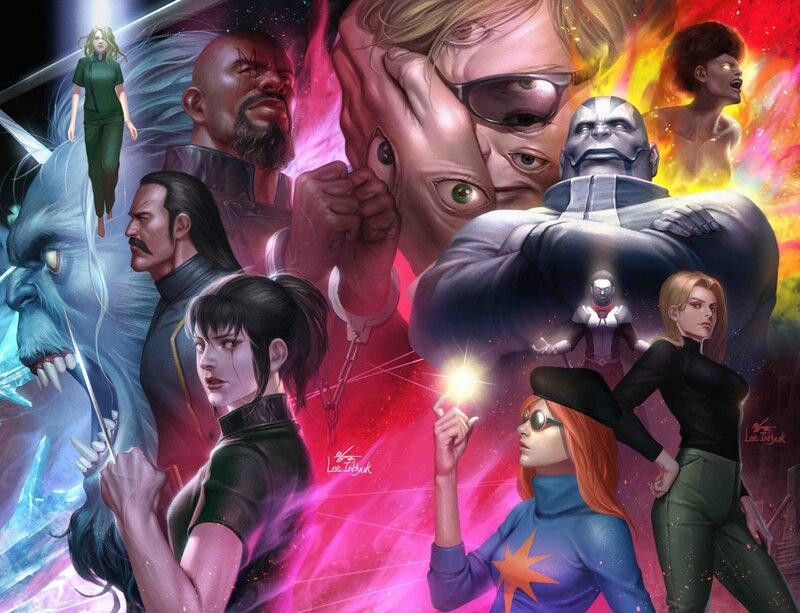 A thread would be much appreciated, especially one that has a list of characters who might have been created by Nate rather than their 616 versions. Anna Marie died for mutant sins. Not sure why Cable was still around though. I think he got knocked off by Stryfe. Last edited by Heroine Addict; 02-12-2019 at 07:34 AM. But they're all in AoXM... before?... AFTER?!... ... DURING?!! On the War of the Realms thread, they are talking about a timeline for everything going on at Marvel right now and it's just a mess. Pretty much, everything in every book is happening at once. Started a general AoXM discussion thread over here, since that seems to be where this one's headed. Why start a dupe thread? Are you Madroxing? Because this one's 30 pages long and has drifted off the original topic. I really liked NextGen and Marvelous. It is actually way better than expected.